Catalog Page 8. 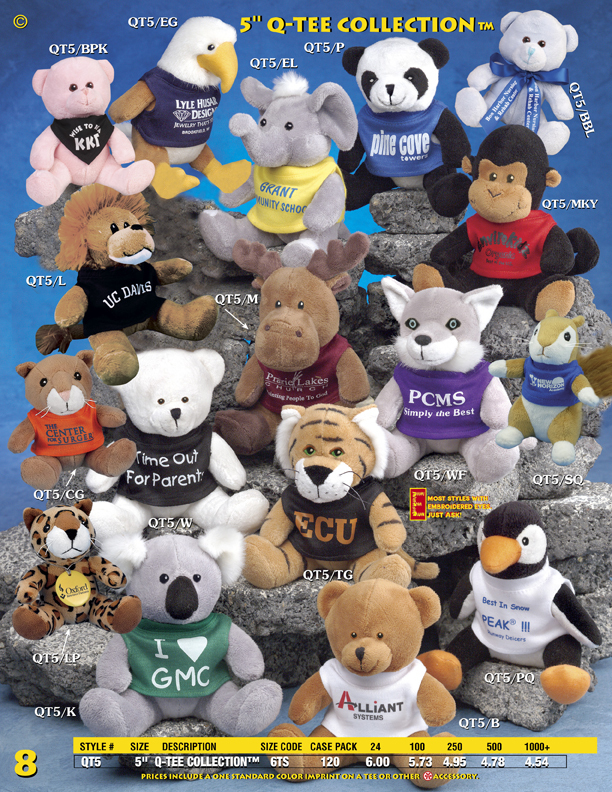 Order 5" Q-TEE stuffed animals with silk-screened T-Shirts. Catalog Page 8. Order 5" Q-TEE stuffed animals with silk-screened T-Shirts. The pricing above includes the one-color printed shirt or accessory. You can mix animal styles to meet the minimum order amount. The 5" cougar and blue bear are new. Many styles have embroidered eyes.